After the Ipanema Urban Jungle Fashion Show at Abreeza, we had dinner at Italianni's. It was my first time there and I find the ambiance welcoming. Six tables were occupied inside and two outside when we arrived, so the place was considerably packed that night. Our server John came to our table to and acquainted us with the menu. After a few minutes, we decided to have Parmesan Crusted Fish Fillet, Spaghetti & Meatballs and Caricato. 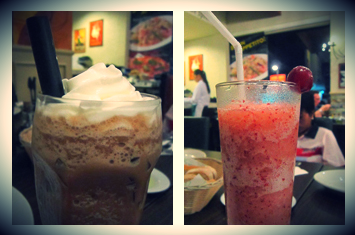 For drinks, we had Grape Fruit Shake and Kahlua Coffee Jelly Frost. 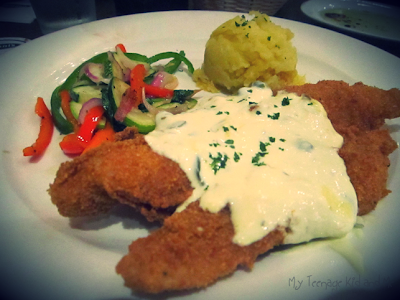 White fish fillet coated with parmesan cheese served with caper cream sauce, mashed potatoes and buttered vegetables. I love this dish because the parmesan cheese is just so right for the fish fillet. I'm not a fan of the mashed potato though, I find it not that soft as I was expecting. 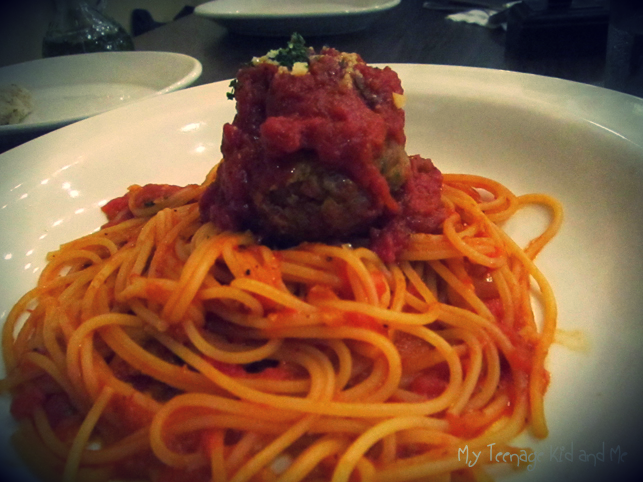 Italianni's famous huge homemade meatballs served with spaghetti and marinara sauce. Danaea loved this. The meatball tastes yummy and juicy, perfect with the marinara sauce. 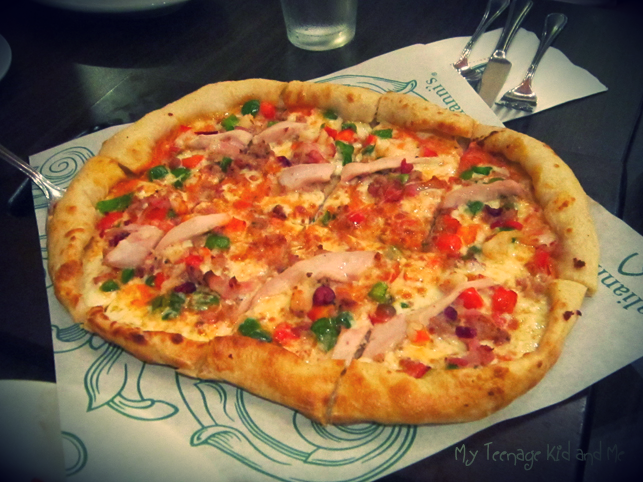 This pizza is loaded with tomato cream sauce, sausage, chicken, shrimps, bacon and cranberries. Crust stuffed with mozzarella cheese. Another yummy treat. 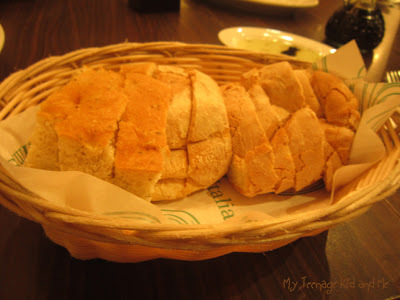 By the way, before our orders came in, they served us with their complimentary fresh Italian bread. This tastes better when dipped in rosemary olive oil and balsamic vinegar. I also got The Bistro Circle card which entitles me to 20% off my bill everytime I visit any of the partner restaurants. The card costs Php1500, a bit pricey, but for me it was worth it because it goes with a booklet of vouchers worth Php3000. 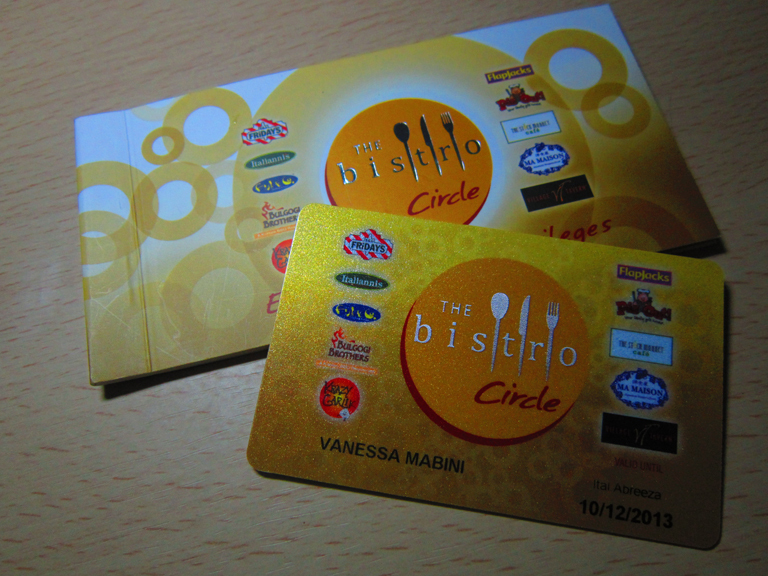 The vouchers entitles you to a free appetizer from all Bistro restaurants. Overall, the experience was 5/5. The food tastes delicious, service is very good. I would definitely come back to try some of the best-sellers that I missed. You should try it too. 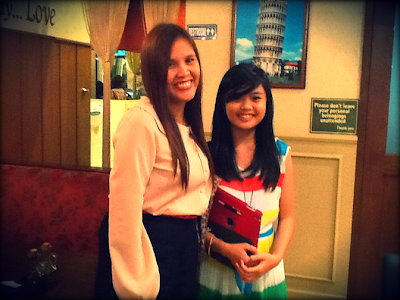 Shout out to Jayr for featuring my ootd on his blog.